Hello everyone! I’m very happy that you found your way in here. A great way to come up with ideas for fairy gardening is to search through thousands of accessories by clicking right here. Anyways, Allow me to introduce myself: My name is Norah Meiers and I’m a huge Fairy Garden fan! 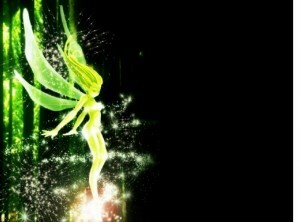 I first came in contact with Fairy gardening in February 2001. A close friend of mine told me about her new hobby and I instantly fell in love with it. Since then, Fairy garden ideas pop in and out of my mind all the time and this is why I created this website. I constantly am looking for ways to improve my garden with cheap little accessories like these. It is dedicated to everyone who is interested in Fairy Gardens, no matter if you are experienced gardener looking for new inspiration and ideas, or if you are new to it and are looking for some basic information on how to make a Fairy Garden. I’m giving a very precise look on every aspect of the fairy gardening in terms of materials, styles, decoration ideas, prices, gadgets and many more. But before we do this, there is a very basic question we should talk about. I think we all know fairies. Wouldn’t you like to have a Fairy in a Garden? Fairies are ethereal creatures. Most of us imagine them as tiny, green, female, winged spirits. There are a lot of tales about them and all these tales got one thing in common. Whenever you meet a fairy, you get three wishes. This makes them a symbol of luck and happiness. A Fairy Garden is built to lure fairies into your home and make them bring a fair portion of luck with them. To ensure that they stay for a long time, our aim is to provide a nice place where they can feel at home. Since fairies are very small, they only need a small Fairy Garden. In the end, it is a miniature garden where small mystical beings find a place to rest. Why should I build a Fairy Garden? There are multiple and very individual reasons for creating a Fairy Garden besides the one I already mentioned. A lot of people don’t have a garden, so it is nice for them to have a miniature garden in their house. More green is always a good idea! In addition, Fairy gardening is a nice hobby to do. It isn’t expensive, brings nature into your home, teaches patience, care and it is fun for the whole family. You can involve every family member or friend into making a Fairy Garden. If you want your children to take part for example, you could make them collect materials you need in nature. By doing so, they spend their time outside which is healthy and they get to know the different substances of nature. I bet they will have a lot of fun doing so! Don’t wait until they spend their whole day playing playstation! While building a Fairy Garden, you could listen to fairy tales and get into the mystical world of romance. In the end, a Fairy Garden can be used as a awesome decoration as well. It adds a unique style to your house and they can be done in many different ways. How expensive is a Fairy Garden? Unless other websites I found so far, I’m not going to say “Buy this product for $29,95″, so there is no flat answer to this question. However, it is possible to build one with things you found in the nature only, so it won’t cost you anything. If you want something more professional, you can buy nice gadgets and add them. For example, you can buy some cheap accessories here. I’ve been working on a lot of Fairy Gardens and I would say my average money investment is around 25$ each. This is because I like to use materials you can find cheap online. Also, I have a garden myself where I can pick flowers and other things, but this isn’t necessary. 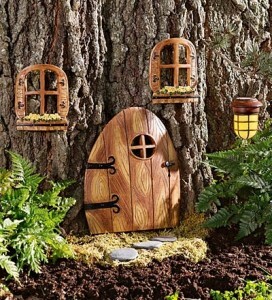 How much time does it take to build a Fairy Garden? As you could already guess, there is no definable answer to this. I created some in one day and some are never ending projects. It is very likely that it will happen to you the same way. Sometimes you plant one, move it away and don’t think about it again and sometimes you will never finish it, because you always get new ideas for it and keep improving and changing things. Just as your home, you will move stuff, redesign things and give it some new paint. As you develop, they may develop as well. In a changing world, there is nothing static.